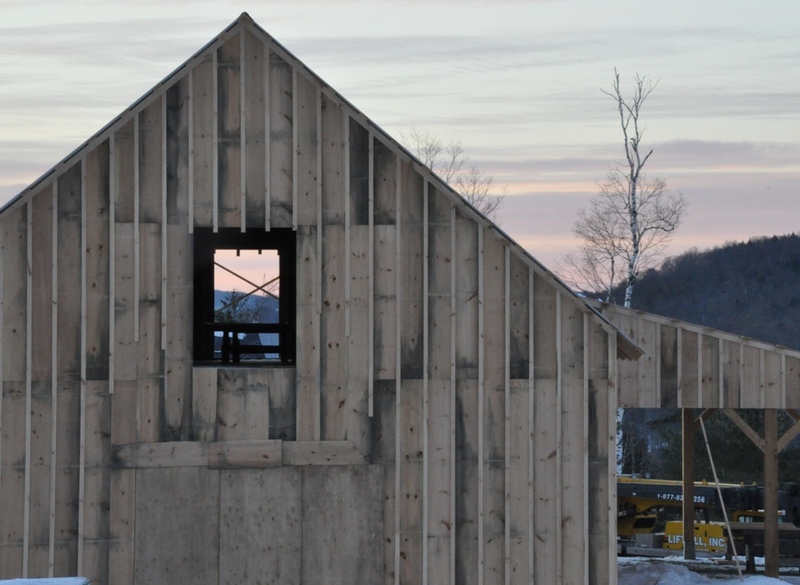 Blackwood Barn is in Rockingham, VT. 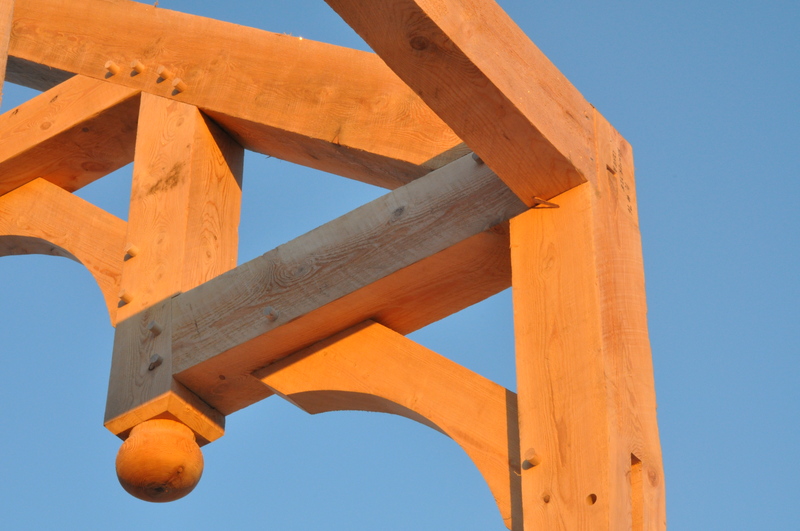 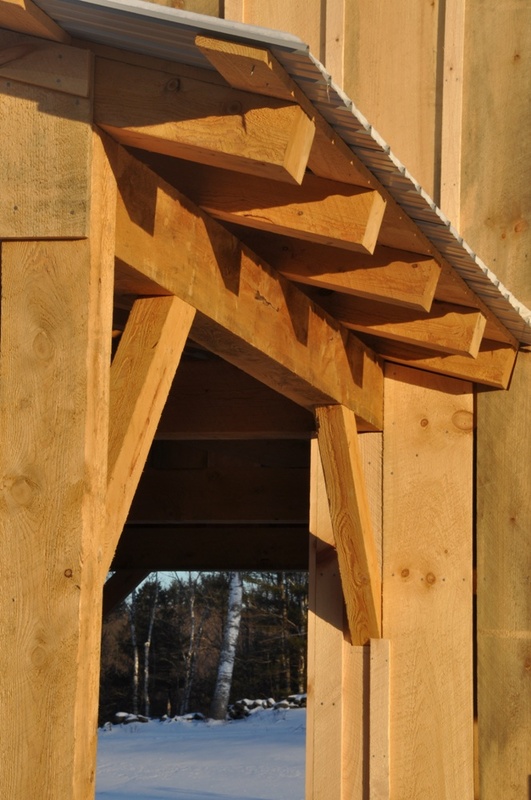 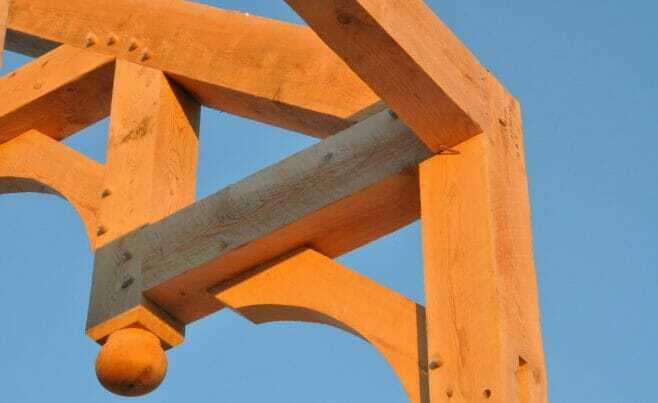 It is an eastern hemlock timber frame that is traditionally joined with mortise and tenon cuts that are secured with 1” birch pegs. 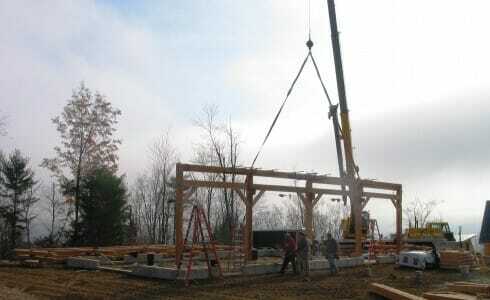 We worked with Richard Monahon Jr., AIA on this project. 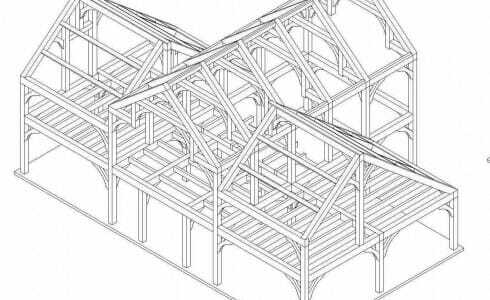 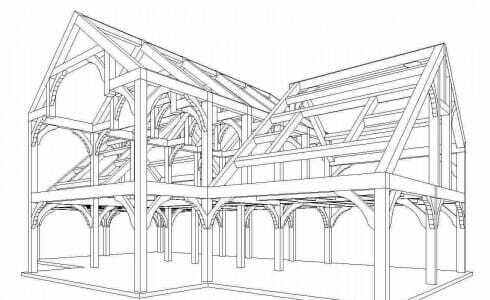 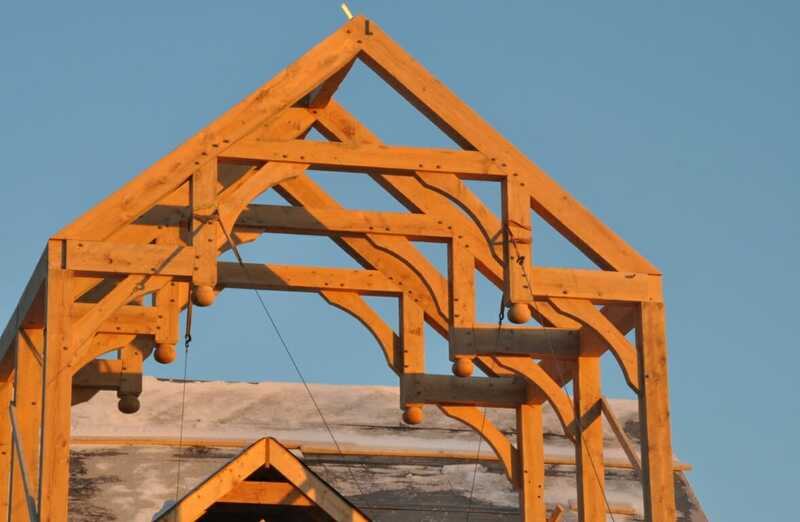 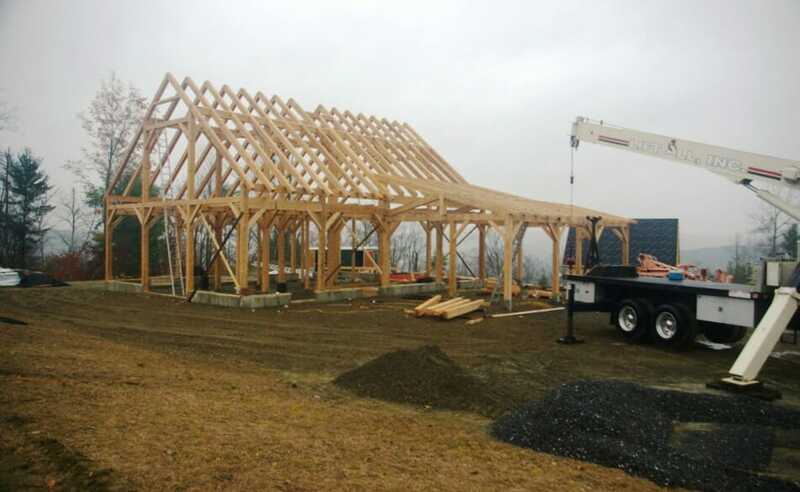 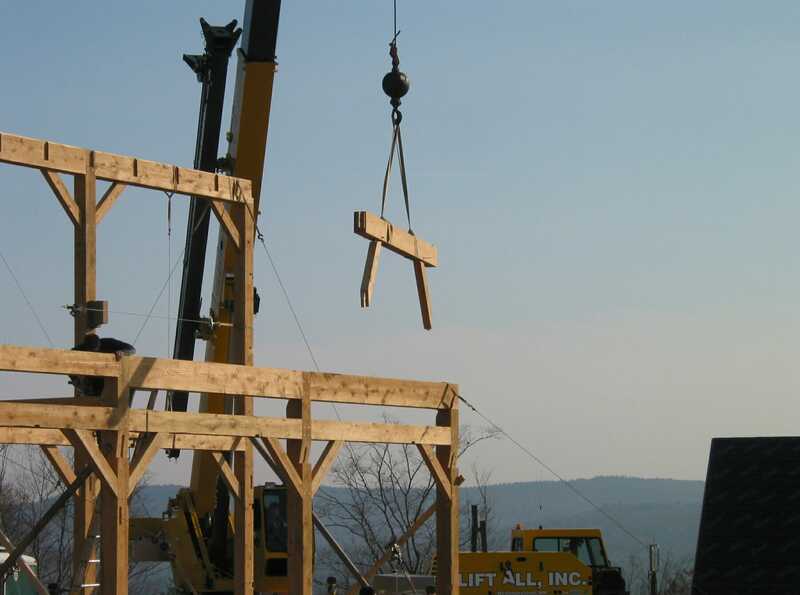 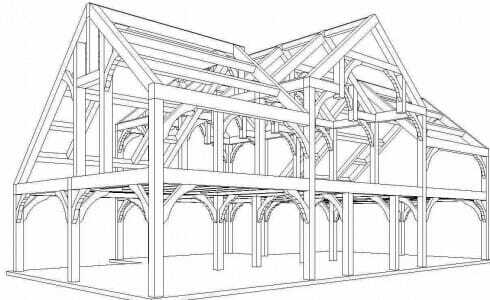 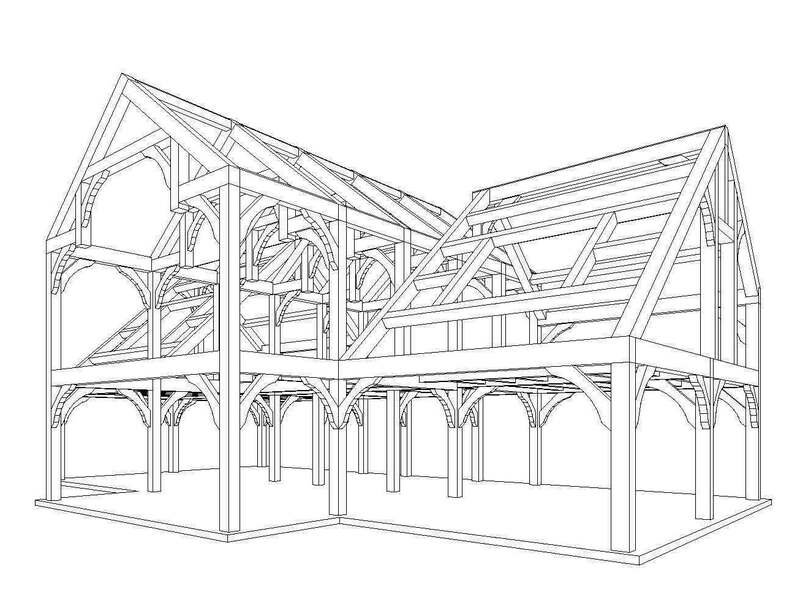 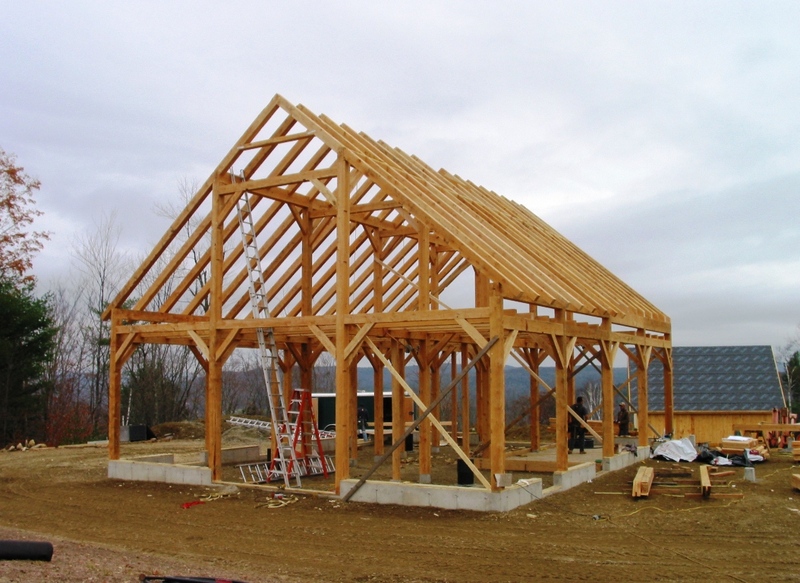 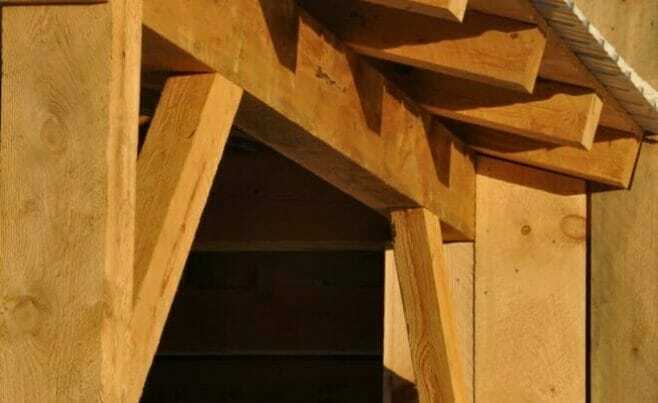 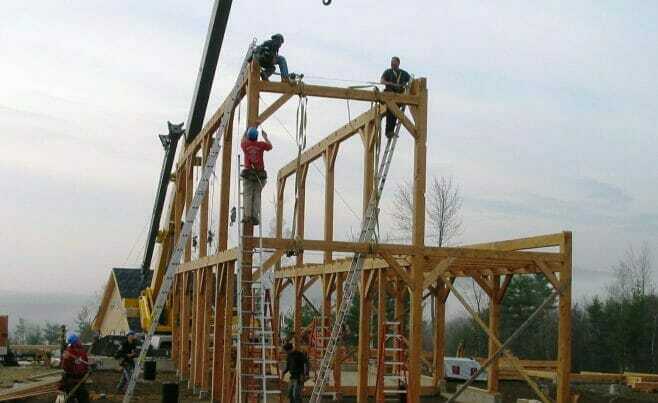 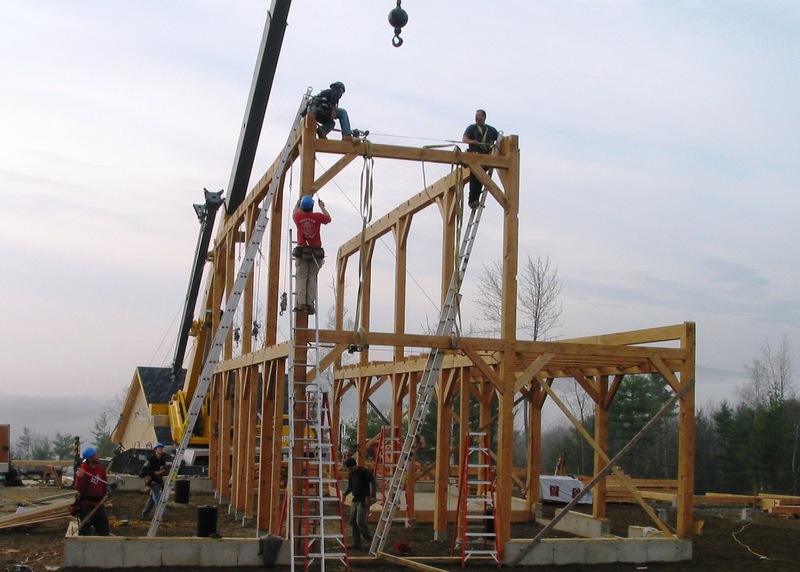 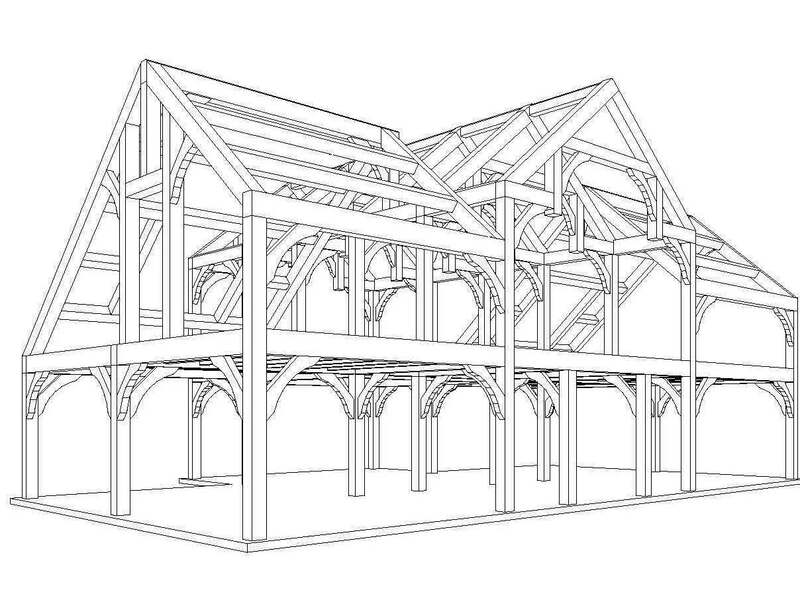 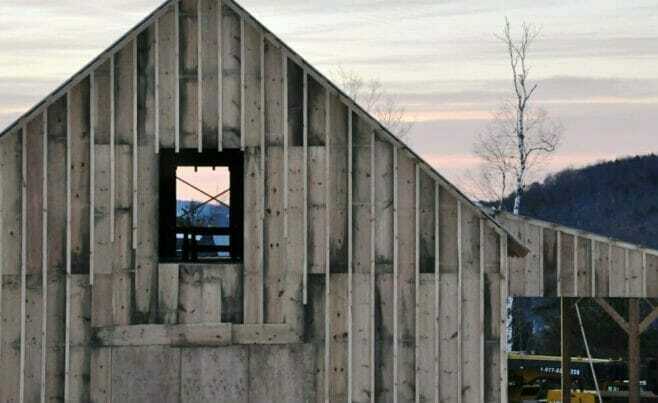 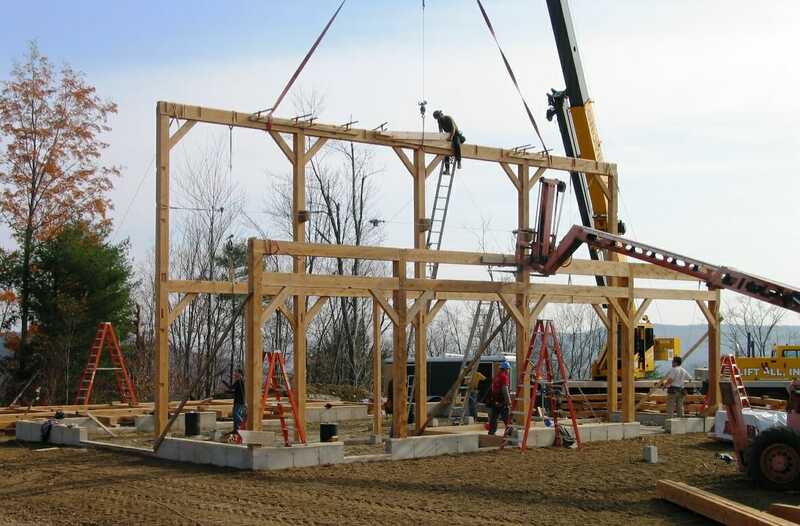 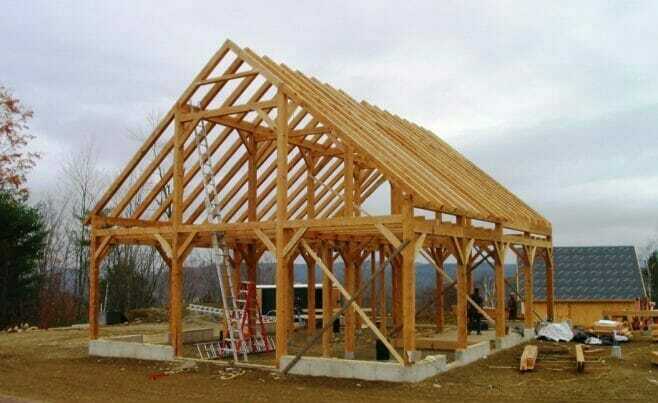 The interior of the frame shows off decisions that were made early in the timber frame process, like how to finish the timber. 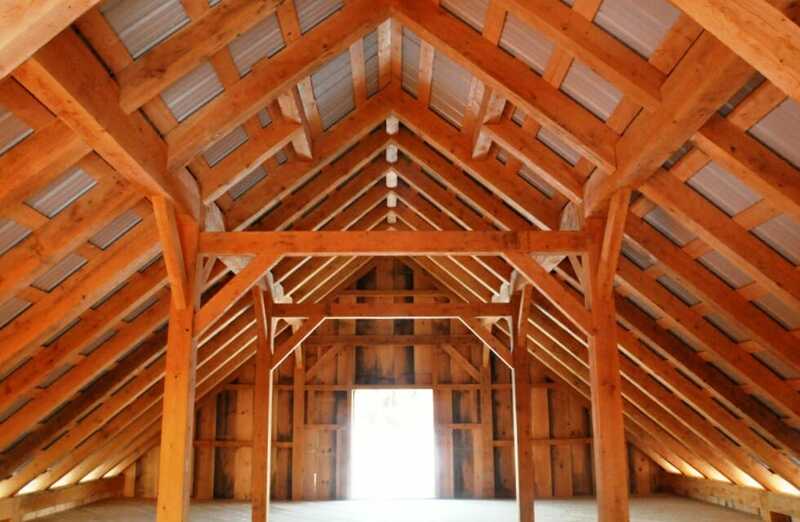 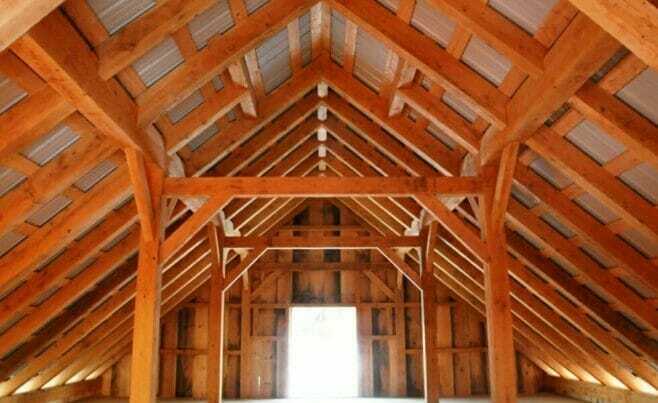 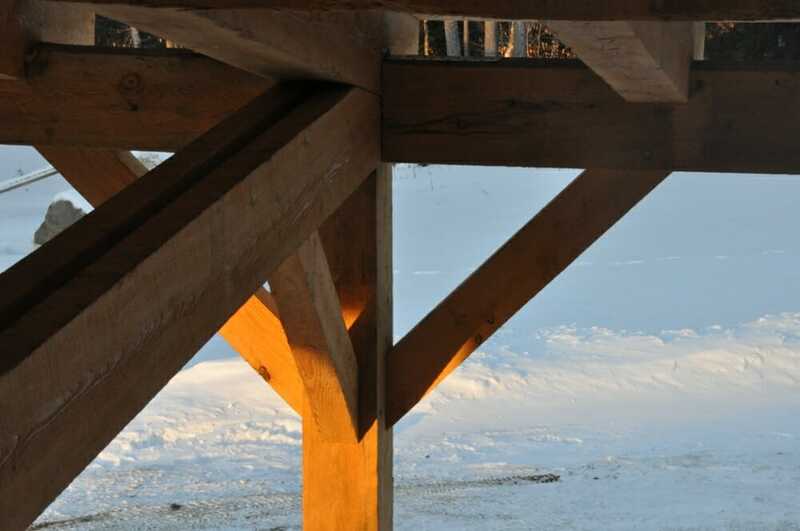 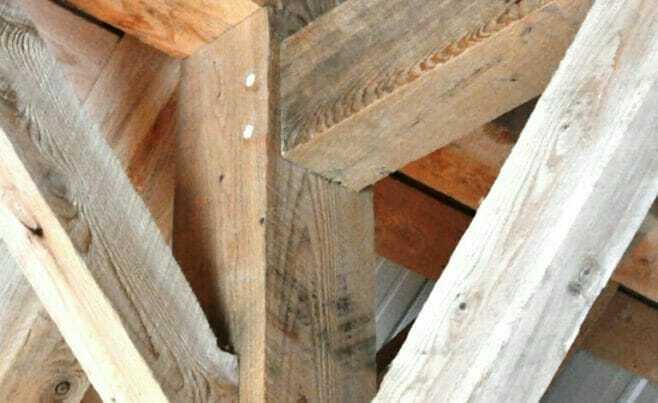 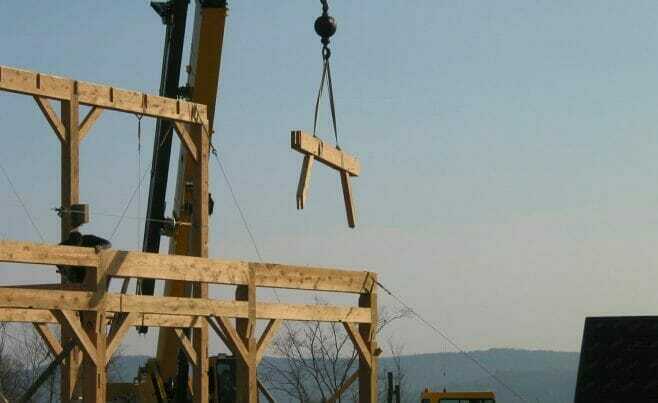 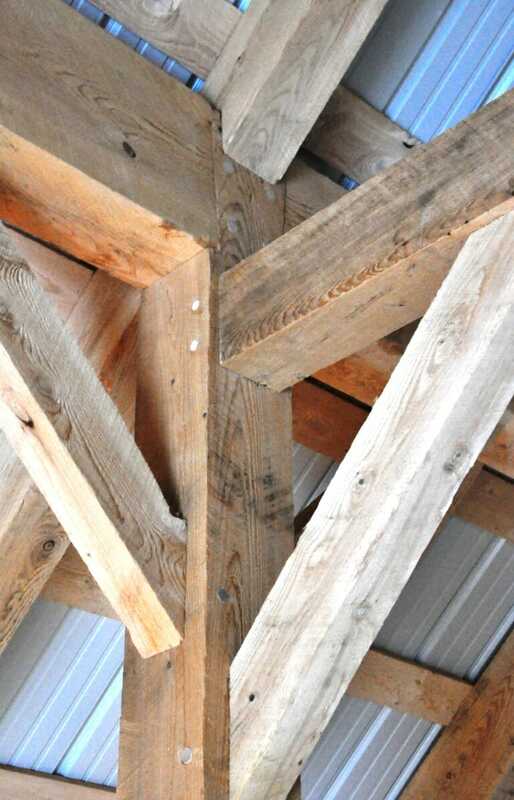 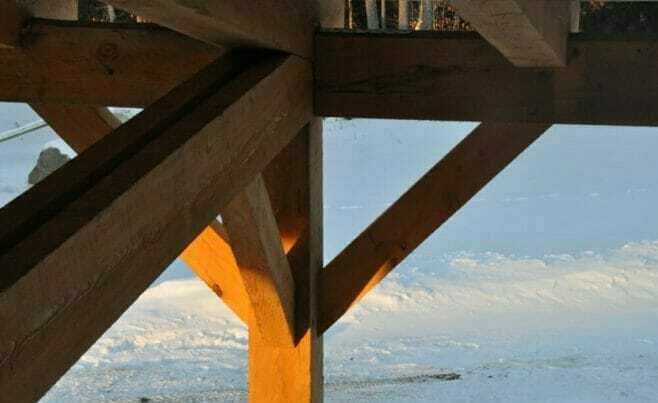 The beams in the Backwood barn are rough hewn hemlock. 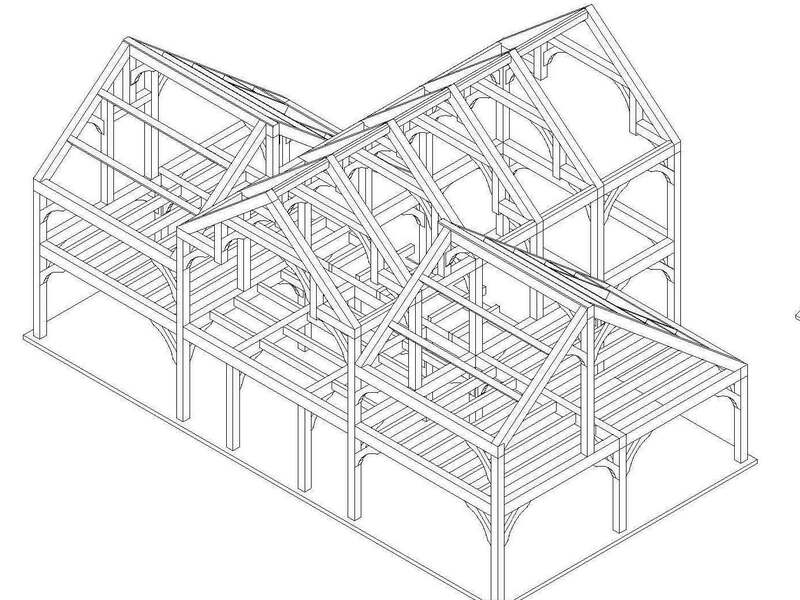 During the design process, we go through a series of sketches and review with the client and their architect — including a 3D model of the frame — until there is an approved final design.